The Little Eskimo wants to know what's on the other side of the great frozen lake, and he wants to know if he'll be a great hunter when he grows up. He starts out on a quest to find the answers but none of the arctic animals can help him. 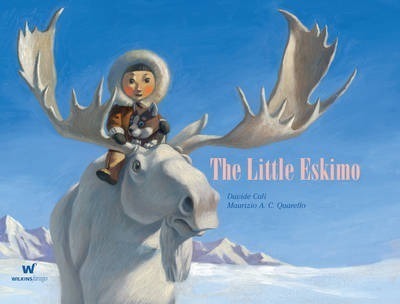 Finally, a whale takes the brave little boy to the one creature who knows all and the Little Eskimo discovers his two questions are very much connected. One of Europe's most acclaimed writers for Children.